Pursuant to CSC Announcement No. 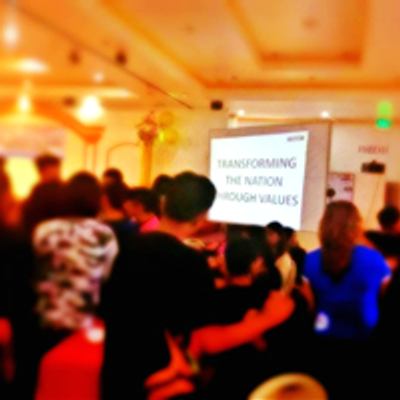 40, s2017, the Council for the Restoration of Filipino Values, a CSC Accredited Learning Development Institute, is tasked by the Civil Service Commission to implement the Values Restoration Program (VRP) in all departments, bureaus, attached agencies, LGUs, GOCCs and State Universities and Colleges. The Values Restoration Program is the perceived antidote to the problem of graft and corruption. 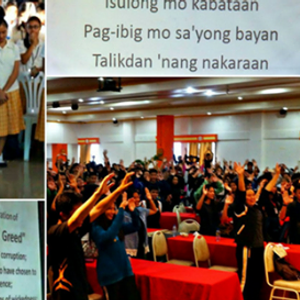 One arm of the VRP is the Nation Builders, where young leaders across the nation gather to strengthen the Filipino core values of “pagiging Maka-Diyos, Maka-tao, Maka-kalikasan at Maka-bansa”. This program aims to raise our Filipino youth to be value-laden accountability partners in transforming and rebuilding the nation. As enshrined in the Constitution that "the State recognizes the vital role of the youth in nation-building and shall promote and protect their physical, moral, spiritual, intellectual and social well-being”, we need to keep developing our moral infrastructure for the future. In this regard, Local Youth Development Officers, SK Federation Presidents, Chairpersons, Officers and Members, Supreme Student Government, Student Council from universities and colleges, youth organizations and youth-serving organizations and other youth representatives from various strata of society are invited to the “The Making of a Nation Builder,” on 27-29 March 2019 at the Hotel Supreme, Baguio City. The registration fee is P7000 per participant, inclusive of accommodation, food, seminar kit, and tokens. Please signify the attendance of your representatives through a written notice or by filling up the attached confirmation form and send it via e-mail to Y3JmdiAhIG5icyB8IGdtYWlsICEgY29t or fax to (074) 424-1497. For more inquiries please give us a phone call and look for Ms. Cathrina Magsano or Ms. Tita Vidal at (074) 424-1497 or 0999-221-6825 and 0967-429-0440.